Tom Campbell Clark, 1899-1977. Attorney General, 1945-1949; Associate Justice, United States Supreme Court, 1949-1967. 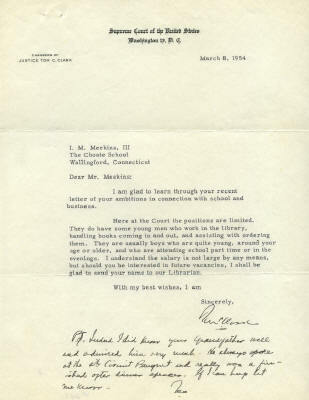 Typed Letter Signed, Tom C. Clark, one page, 8½" x 11", on stationery of the Supreme Court of the United States, Washington, D.C., March 8, 1954. With holograph postscript signed, Tom. 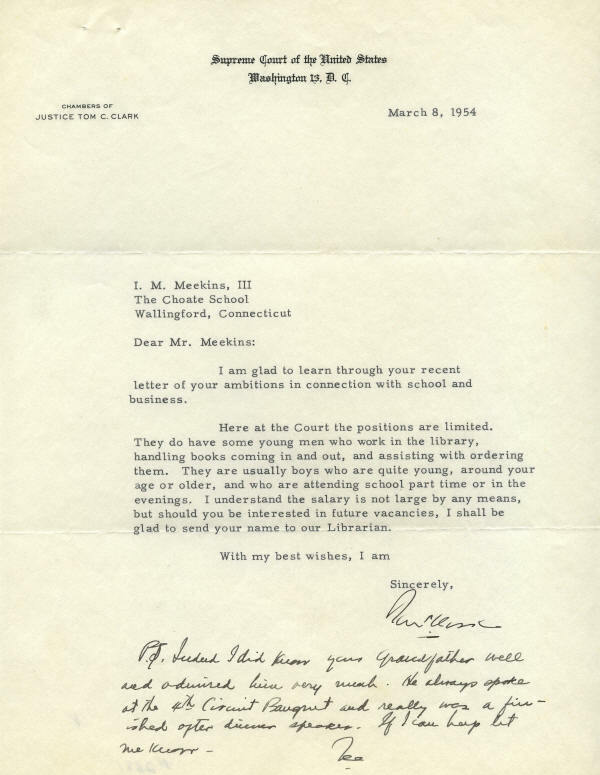 Clark takes time to write a thorough letter to a student, whose grandfather he knew, about job possibilities at the Supreme Court. This letter is in very fine to excellent condition.  It has staple holes in the upper left corner, well removed from the text, and otherwise only normal mailing folds. Clark has signed the letter and penned the postscript in black ink. This is a nice example for any Supreme Court collection.